This is another entry in now regular series of interviews on rpgmaker.net. The goal is to further promote RMN's featured games and creative minds behind them! Darken is an RM oldie and I was super excited to talk with someone, who knows a lot about history of online communities. He's also a great developer. His horror adventure Nemoral has a very competent design and It was no surprise that LockeZ chose it as the best game of Twisted Fairy Tales. 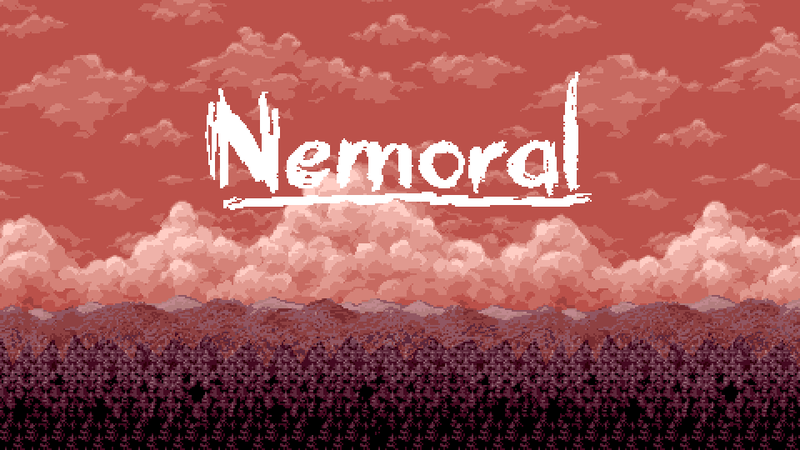 In Nemoral, you play as an investigator, who struggles to survive in a haunted mansion owned by a cult of kidnappers. The game cleverly mixes narrative devices of Twin Peaks and horror classics with gameplay inspired by Silent Hill and Resident Evil series. You can read a proper description and download the game here. Thanks for being patient with me and letting me interview you after weeks of delays. Could you introduce yourself? Hello, I go by Darken in RMN and Shweep just about everywhere else. I got my start in the RM community sometime in the early 2000s and dipped in and out of game development since. I used to work as an animator professionally but now I'm floating towards trying to make something out of games. Nemoral is your first featured game on RMN and quite a successful one overall, how do you feel about that? Pretty decent, I guess I have had games spotlighted before so it's not a new feeling or anything. It's really cool to get a positive aftermath response to something I worked on. I rarely think far ahead in terms of how it'll be received while developing the game itself. But it's nice to be reminded and validated especially since it was featured awhile after release. What was you process when making Nemoral? It's quite a sizeable project for such a short development cycle. How did it differ from your other jam/event games? The initial idea was to essentially get a better handle on Game Maker. I've made a lot of small 2 week projects in GM before, but they were a little more actiony and had barely any dialogue text or story. I wanted to be able to do things like cutscenes and messages to better express a narrative so I kind of used this slightly longer deadline to learn how to do that on the go. Weirdly I was basically making an RPG Maker horror game in a non RPG Maker engine as it turns out given what I wanted to make and what the theme was. It took me one week to learn how to program my own dialogue text system, execute cutscenes and then make the intro cutscene itself. I actually think a month is rather long for an event game, but the 1-2 weeks or 48 hours I'm used to are short enough to be motivating all the way through. I think the learning aspect of the project was what made the entire month motivating though, there was always some new coding challenge I had to tackle that was generally solved at the right time for me to feel like doing something else. The bulk of the time was spent making the inventory/gun system, I think I wasted a lot of time making items droppable actually as no one really took advantage of that system. Having said that though, actually designing the mansion and enemy / key placements were all kind of mashed together in the last 4 days. The final day I was learning how to keep track of everything you've done and work that into how the player saves the game in time for submission. Probably the thing that saved the most time was the fact that I used a lot of premade RM assets from White Screw Candle. Funnily enough I used RM2K3's tileset editor to make most of the maps and imported them into GM. So that helped when it came time to implement the overall framework. Talking about your other projects, you were quite productive recently. Which one of your released games should get more attention and why? Probably Rabbit/Wolf, although it isn't on RMN. 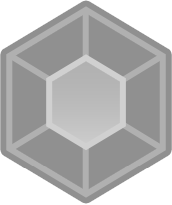 To pitch it, it's basically a shmup where you kill NPCs to gain power ups. I think it has a unique horror vibe that a lot of people might like but admittingly I haven't had much time to promote it. I would like to know what more people think about it though. That certainly sounds worth checking out! You went commercial with yet another of your games, Over My Dead Body (For You). What was the experience like? Over My Dead Body's development happened over the course of 3 years while collaborating with 4 other people. It's not a game I would personally normally make but I ended up being pretty committed to the art direction and level design process. It was a huge ordeal trying to micro-manage the many assets and systems that we set out for that game. It's a puzzle game where you multi task two characters to the end goal, the game mechanics had to be simple in order to manage it into the 3 hours of content it came to be. I think it's successful from a intentional standpoint, and it did sell more than I expected. But there are things I wish I did more smartly, or communication I wish I handled better. I probably come off as really dour about it haha. Ultimately it had its ups and downs but it was a huge learning experience all around, I'm glad I did it. My next project is also a commercial game that I'm doing solo this time around, hopefully I've grown a bit to handle the challenges that lie ahead. What can we expect from you in 2019? Are you cooking up something these days? I'm working on a small commercial project that you'll probably know more about soon. Though I might as well namedrop it, it's tentatively called "the machine that BREATHES" it's a sci-fi horror game that'll be pretty similar to Kryopolis and Nemoral. I also want to actually return to finishing Les Habitants Du Soleil because I still get asked if that's ever coming out. You successfully managed to move away from RPG Maker. Do you have any advice for other devs, who would like to follow in your steps? Don't be afraid to try new things, sometimes learning can be a time saver even if it doesn't feel like it. That said I don't think it's everyone's best interest to move away from RPG Maker. If it suits your needs and all you want to do is express a world a certain way then RM is capable of a lot. I've just been using the RPG Maker engines for so long and realized my priorities have changed dramatically. Being able to acknowledge that sort of stuff I think is more important than weighing the raw tool specs against each other. What (if anything) would make you consider using RPG Maker again? I guess a small project where I only cared about the narrative and dialogue mostly. I think generally I'm just put off by balancing RPG battles which also goes into my engine motivations. Another idea was to do some sort of callback to old RM games of yore, I think that's impossible to execute without a super retrospective outlook. But it'd be kind of funny to make an ambitious game with the intention of releasing it as a demo that never gets a follow up. You were around way before me. Is there anything you miss from the old days? And what changed for the better? There's a novel's length of an answer I could provide for that. I think I just miss the type of demos/games being made and the frequency they were made in. There was also always some sort of advancement or thing being discovered that made RM a sort of exciting medium especially during the time of rm2k3 still being predominantly used. I also think that people being forced into a 320x240 pixel art aesthetic makes even the worst looking games have a bit of charm. What's for the better is that more people usually get their games done now, or there's less attachment to making a 50 hour epic. I also think there's more groups of people being enabled by RPG Maker to make their voices heard. I get the sense that there's a lot of young people trying to make the next Yume Nikki or Undertale, and I think it's cool that RPG Maker is a viable option there. Also there's way less crazy drama, which makes for interesting anecdotes I guess. But I'm glad it's way more mellowed out now. Are there any creators in the community, who inspire you? A somewhat recent creator who goes by CARRIONBLUE on RMN has games I come to really admire. Her works made me rethink what sort of games I wanted to make and how to scale down a lot of aspects. I'll also always find The Way by Lun Casari to be really mesmerizing to look back on. So much was accomplished in that game that really stuck with me. It's probably the only full length RM game that really lives up to its own ambition. I also think in general Momeka has made some neat stuff I admire from a technical standpoint. It says a lot that he also made actual Gameboy games. Diary of a Madman and The Longing Ribbon are horror games I've probably subconsciously taken from when doing my recent games. So I probably owe some aspects to them. I'm probably drawing a blank on any others, but those are what come to mind at the moment. Have you played any 2019 on-site game, you would consider nominating for Misaos? Are there any upcoming releases you follow and are hyped for? The only 2019 game I think I got around to playing is Railroad Tracks, though I think that might have been added right before the new year. I don't have anything on the mind yet of what would be the best, I'm pretty bad with keeping up with newer games. I'd really like to check out Crescent Prism and Fighting Robots Quest, they look pretty charming in a very Nintendo RPG way. Ultimately I'm most hyped for Theia, Villnoire, and Psi Dogs. Assuming they come out in 2019 that is. I think video games in general are still brand new and there's still a lot to express. I know I come off as someone who can get overly nostalgic about the sub-culture RMN originated from. But I still feel like we're still on this new frontier. Don't worry about having the highest production values or having the most content, because it's impossible to compete on that level with so many games coming out. I think as indies/amateurs/hobbyists there's a way to make really compelling experiences through ingenuity and charm. Do whatever you think is cool, and semper games. That was the last question. Thank you one more time and keep rocking! Good luck with The Machine That BREATHES and your other projects! 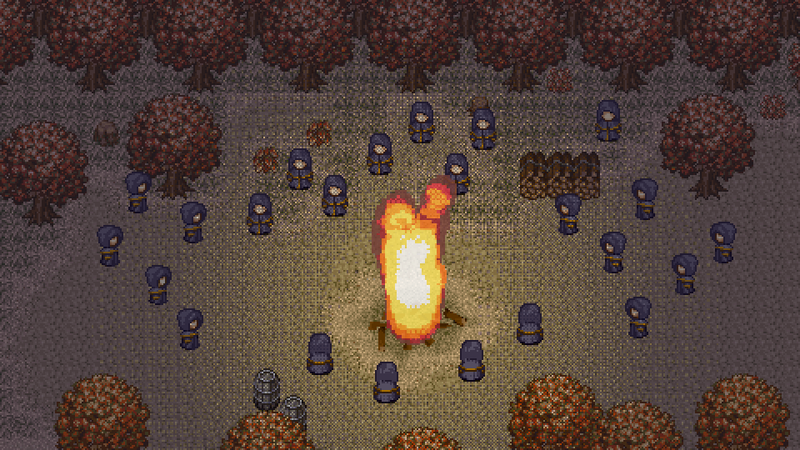 If you want more Darken, you can check out his new blog on old RPG Maker games. Appreciated the interview, I find it funny Theia's translation was released the moment I wondered if it was coming out this year or not. Thanks for keeping up these interviews. It's always great to see into the mind of people who you've been part of the community with (especially ones you admire). Thanks, LWG. It's good to know you're a regular reader. I mentioned it in the article, but I'm really glad Darken was so patient with me. I wrote him at least three times to make time and then failed to get online myself.